A guest post by Ron Sandison. As the body of Christ, we should care for the physical and spiritual needs of each other and help those with autism to experience the love of Christ. The love of Christ can be expressed tangibly by the inclusion of those with autism in our services and our sensitivity to their sensory issues. 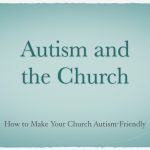 We will examine four ways your church can create accommodations for families with children of autism and make every child feel safe and welcome. Your congregation will follow the example of the pastoral leadership team. If the pastor from the pulpit emphasis the importance of inclusion the congregation will also have a heart for inclusion. 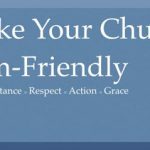 You can start by asking the families of children with special needs how your church can best accommodate and serve them and help their child feel comfortable. Many children with autism have difficulty sitting still during the service. Your church can accommodate these children by providing an area for them to pace. Other children are sensitive to touch and experience great anxiety when the pastor says, “Greet the person next to you.” Be sensitive to sensory issues. Structure and visual presentations are very important for children with autism. A structured children’s ministry will help children experience less anxiety, and visuals will aid him in comprehending the lessons. The lessons should not contain abstract concepts which can be difficult for children with autism to interpret but concrete biblical truths. For children with repetitive behavior, like stimming, provide fidgeting toys. You can purchase from Walmart or the Dollar Store inexpensive things like silly putty, Koosh balls, slinkies, or squishy balls. Always check with the parents or guardians first. Ask the parents what activities his child likes and also any sensory issues to watch for. If the child hates a certain activity, don’t force him to do it. This could cause the child to have a meltdown. 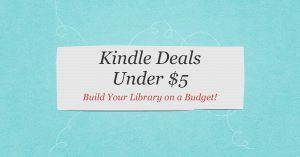 Instead offer an alternative activity. Pastor Craig Johnson teaches, “Ministries to special needs children consist of 25% training and 75% love and acceptance. When developing a ministry for special needs individuals, first have a core-team that has a heart and passions for those with disabilities.”[iv] This core-team must have a firm understanding of autism and a desire to infuse the rest of the church with their passion. 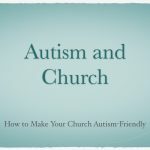 These four methods can help your church become autism sensitive. Oswald J. Smith said, “Our duty is not done when we minister only to those who came into our churches. If they don’t come, we have no choice but to go to them.” Special needs parents are searching desperately for a church that is able to minister to their child’s physical and spiritual needs. Ron Sandison works full time in the medical field and is a professor of theology at Destiny School of Ministry. He is an advisory board member of Autism Society Faith Initiative of Autism Society of American. 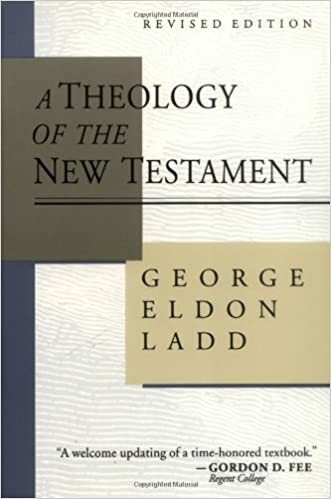 Sandison has a Master of Divinity from Oral Roberts University and is currently writing, A Christian Concise Guide to Autism. Ron has over 10,000 Scriptures memorized including 22 complete books of the New Testament. Ron and his wife, Kristen, reside in Rochester Hills, MI, with their pet rabbit, Babs, and cat, Frishma. You can contact Ron on Facebook or email him at sandison456@hotmail.com. [iv] 7/21/14 Phone Interview with Pastor Craig Johnson, Director of Ministries, Lakewood Church.